Leaf tissue analyses provide excellent information to guide a grove’s fertilization program. Late December through to early February are the months to take olive leaf samples for analyses of the grove’s nutrient status in the Summer rainfall areas. 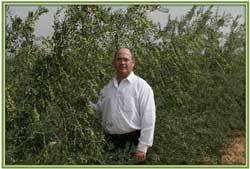 It is important to sample the same trees at the same time each year to enable you to compare results meaningfully. Leaf analysis is used to monitor the nutritional status of the trees, evaluate the effectiveness of fertiliser applications and to identify potential nutritional problems before they occur. Trees require the correct balance of nutrients for optimum growth. Leaf analysis allows the grower to make an informed decision as to which nutrients need to be supplied to maintain the tree in optimal health for the following season. Growers can build up a useful record for managing the nutrition of their grove by monitoring the leaf nutrient levels amongst the same trees in a sampling block over a number of seasons. Decisions about fertiliser use should be made after considering the leaf analysis results for each season in relation to previous fertiliser applications, fruit yield and general tree health. It is absolutely critical in obtaining meaningful results from leaf analysis that olive leaf samples are taken from the correct type of leaf and during the mid summer period. 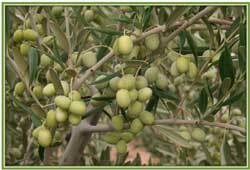 The requirements for olive leaf analysis are: 80 to 100 mature olive leaves taken from the middle of non-bearing, current season shoots. 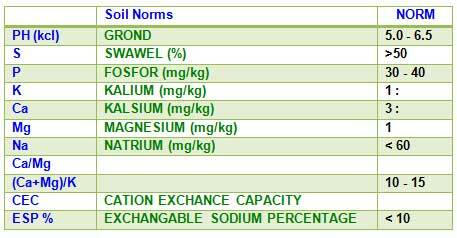 The grove should be sampled to minimize soil and variety variability. The manager needs to ensure that the leaf sample is representative of a particular area. For sampling purposes, the grove should be partitioned into sampling blocks of no more than 10 hectares. 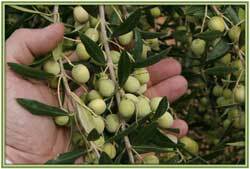 Each block should contain a relatively uniform soil and single olive variety. A representative sample of leaves is the taken from about 20 trees following a Z or X pattern throughout the designated block. Leaves at the edge of the grove may be coated with soil particles or dust. They should be avoided when sampling because surface contamination can lead to measurement errors for several nutrients, particularly iron (Fe). 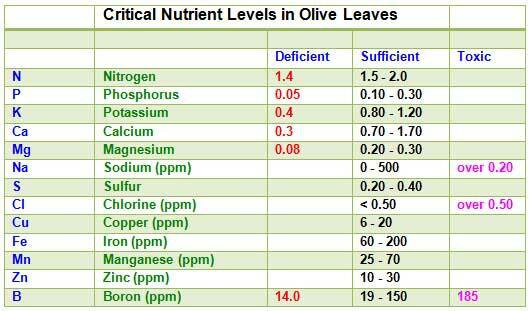 A small amount of spray residue left on leaves can cause a large error in micronutrient analysis because of the very low concentrations of these nutrients that exist within leaves. Caution: plant tissue analysis can provide only one part of the picture in determining the cause of nutritional problems. The plant size, vigour and rate of growth should also be observed or estimated. All sites sampled need to be marked and recorded (for example, painting tree trunks) so that they are easily identified for future reference. Remember with diagnostic plant tissue testing, whenever possible compare good and poor areas and ensure that these samples are taken from plants or trees of the same variety and growth stage, within the one field. What and when to sample. Generally, sample fully-expanded, recently matured whole leaves including the blade (lamina), midrib and the extended petiole (leaf stalk), unless otherwise specified. Timing is a very important key to the effective use of plant tissue analysis, especially when used in monitoring situations. Ensure samples are taken at the correct growth stage or time of year. The time of day can also affect the levels of some elements in the plant. This is particularly true for nitrate nitrogen, especially where conducting tissue such as petioles (leaf stalks) are analyzed, less so where the plant tissue is analyzed for the total amount of the nutrients present. Plant tissue samples should be collected prior to 10.00 am wherever possible to ensure representative nitrate concentrations are measured. Plant tissue should be dispatched to the laboratory in a paper bag. Plastic bags are unsuitable as they will cause the sample to sweat. 5 ºC in a refrigerator or cold room as soon as possible (DO NOT freeze the plant material). Filling out a field information sheet is just as important as taking the sample correctly. Details of the grower and dealer and required including address, telephone number, rainfall, crop type, sample and site details, fertiliser history, pesticide spraying program and reason for sampling. Details of fertilisers applied during growing season, or over the past 12 months for perennial crops are particularly important, as plant tissue analysis is often used to monitor the adequacy of the existing fertiliser program. For soil amendments such as lime, dolomite and gypsum, details of application over a longer period (5 years for example) are required. Plants should be sampled early in the week and sent (overnight) to ensure that samples do not decompose. The samples must not be frozen. Freezing will burst the cell walls, resulting in loss of sap on thawing. As a result, the laboratory will not be able to recover a representative sample.